These are all creations that make me really happy. Beautiful papers and lots of love. 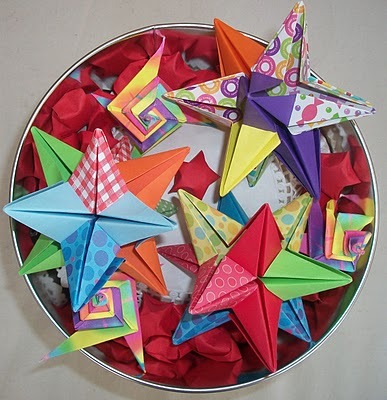 The lucky stars diagram is on this site, the omega star is something you can find on youtube, below is a video showing you how to make it. I presume it took you around 30 minutes at least to make it. It is amazing, but unfortunately I think I will make some more simpler ones for my cards.